From the Gulf of Mexico to the picturesque view from the Cheaha Mountain, Alabama is a state of many wonders. Dotted with many lakes, streams and beach property, Alabama offers residents plenty of choices of places to live, work, and raise families. Every day real estate transactions take place. Houses are listed for sale, offers are made for purchase, and loans are closed. Buyers of residential real estate often need the assistance of a mortgage broker to obtain a loan that fits their needs and to complete the purchase process. 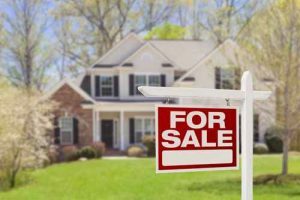 The Alabama State Banking Department requires mortgage brokers providing mortgage services such as the solicitation of loans, negotiating of mortgage loans and the offering of a loan to have a license. The licensing process includes completing the educational requirements and submitting an application, completing a criminal background check, and providing documentation for persons that have ownership or control of the company. In addition to the application, mortgage brokers must file a surety bond with the state. The surety bond amount is based on the total volume of funded loan transactions in the prior year. The initial required bond amount is $25,000, and thereafter will need to be re-evaluated annually and adjust the bond amount if necessary. The surety bond amount will need to be increased to $50,000 when the total volume of loans funded exceeds $25,000,001. If the total volume of loans is over $100,000,000, the maximum bond amount is raised to $75,000. The surety bond ensures that mortgage brokers will comply with federal and state laws, rules and regulations and protect consumers from fraudulent loan transactions, proper disbursement of funds, and other prohibited activities. SuretyGroup.com writes Mortgage Broker bonds for the state of Alabama. Apply online or call us at 844-432-6637 today!